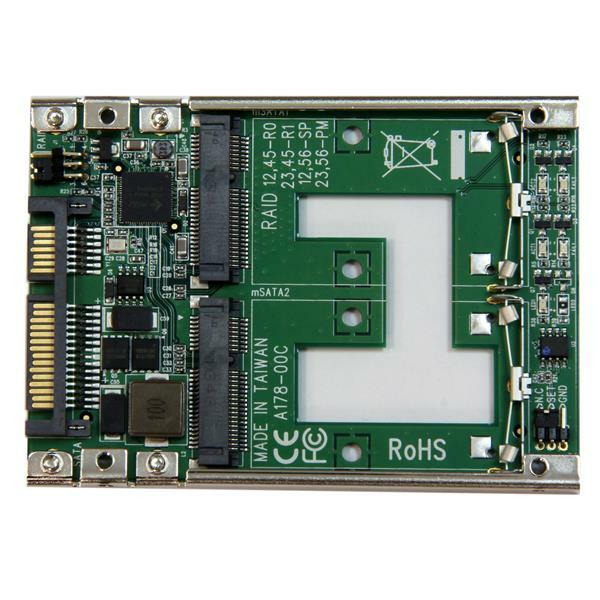 Vastly increase system performance by adding a dual mSATA SSD RAID array into any 2.5" SATA HDD application with the 25SAT22MSAT mSATA to SATA adapter. Utilize the full potential of your SATA III controller, with mSATA SSDs reducing your data transfer bottleneck with file transfer speeds up to 6 Gbps. 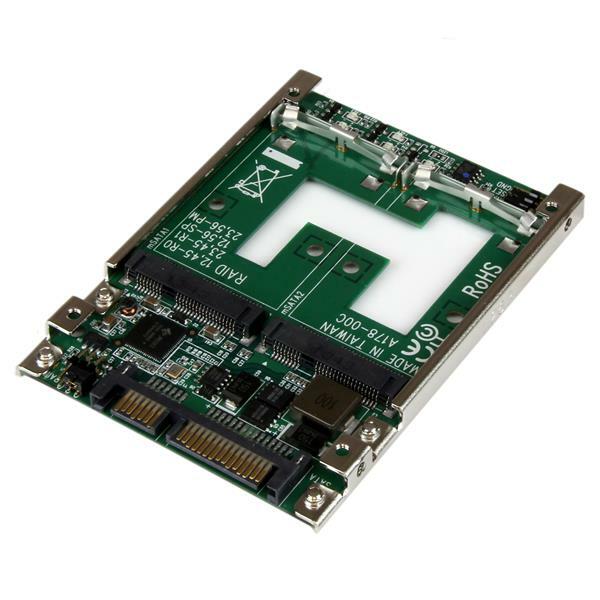 mSATA SSDs also save you money by reducing your power consumption over regular platter drives. You can achieve greater SSD capacity, or data redundancy with the Dual SSD controller supporting multiple RAID modes (RAID 0, 1, BIG). The SSD adapter also supports non-RAID operation (JBOD) when paired with a port-multiplying SATA controller, so both drives can be used independent of one another. Help protect the health of your drive with an open-frame design ensuring maximum heat dissipation. 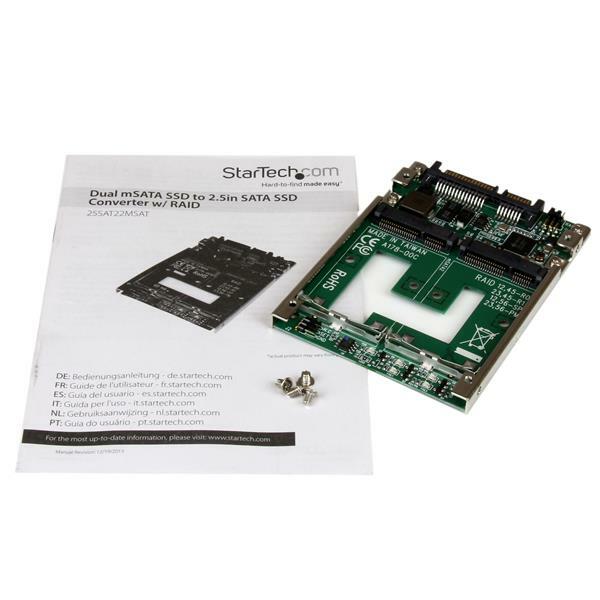 The 25SAT22MSAT is backed by a StarTech.com 2-year warranty, and lifetime technical support.